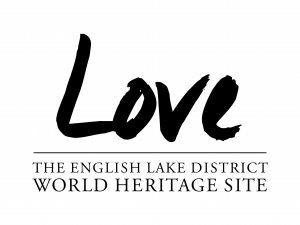 For the first time ever, one of the UK’s most popular adventure attractions will open overnight on the evening of Monday 20 June 2016 – giving visitors the chance to climb up where eagles fly before enjoying the Summer Solstice against the backdrop of a spectacular Lakeland panorama. 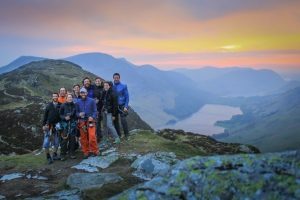 Plucky participants heading to Honister Slate Mine for an extra special start to the longest day can rise above the Midsummer madness with a midnight rendezvous on the Via Ferrata. Using a series of cables, rungs and cliff-edge ladders to scale the heady heights of the mighty Fleetwith Pike, the adventure will culminate at the summit with views across three iconic lakes; Buttermere, Crummock and Loweswater. Twice as high as The Shard and nine times higher than The Big One Rollercoaster, Via Ferrata Xtreme is the ultimate challenge and also includes a Burma Bridge suspended more than 2,000 feet above the valley floor. Its twin sister, Via Ferrata Classic, is a less demanding challenge which follows the original miners’ route to the summit, but still gives the very real sensation of being exposed on a rock face. With special lighting to illuminate the way up the mountainside, this year’s Summer Solstice will be the first time Honister Slate Mine’s Via Ferrata has been open throughout the night. Participants on both Xtreme and Classic will be secured to the mountain by a cable at all times, with experienced guides to lead the way. 24 pre-bookable places on both routes are available, with the option to enjoy a glass of chilled champagne as the sun rises over the Lake District. Arrive 11.30pm for midnight. Tickets can be booked online for the ‘Summer Solstice Via Ferrata’ experience via www.honister.com costing £37.50 per adult (16 years+) for Via Ferrata Classic and £45.00 for Via Ferrata Xtreme. Located at the head of Honister Pass in the centre of the Lake District, Honister Slate Mine offers a range of indoor and outdoor adventures for a range of ages and abilities. Honister is also the last working slate mine in England and home to the iconic Westmoorland Green Slate.